If asked where my favorite section of Route 66 would be, I’d have to say all 2448 miles of it. 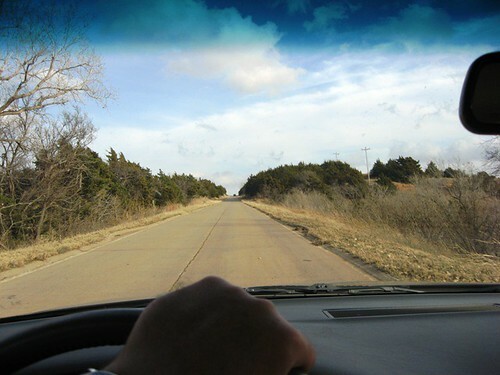 But, if I was forced to pick a favorite section where I like to drive, I’d say it’s the section between El Reno and Hydro, Oklahoma. 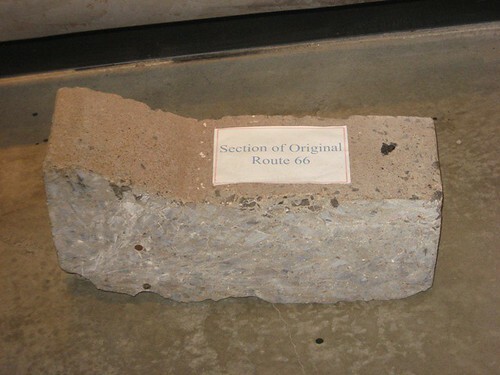 It’s got a nice ribbon of Portland concrete that dates back to the 1930’s, complete with curbing, like this mini section that’s housed at the National Route 66 Museum in Elk City, Oklahoma. This cool section brings back memories of roadtrips when I was a kid, when two-lane highways were made of concrete and the tires hitting the seams of the road created a perfect rhythm. This section has the same beat. The fun starts at an area called Bridgeport Hill, with a nice little view of the Mother Road as you descend toward a gentle curve. 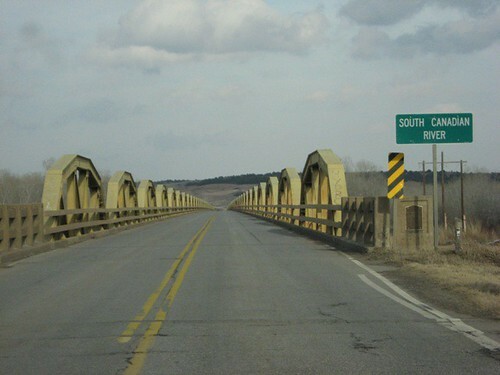 One of the highlights of this section in western Oklahoma would be the 3944 foot long Route 66 bridge across the South Canadian River. It’s unique in that its constructed of 38 spans of “pony” trusses and has stood the test of time, dating back to 1933. 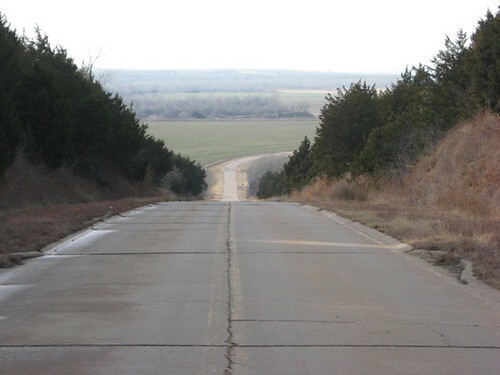 This section between El Reno and Hydro is approximately 28 miles long and keeps you far out of sight of Interstate 40, helping to preserve the image of what travel was like along this section, which carried Route 66 traffic until it was bypassed in 1962. The alignment comes back into view of I-4o in Hydro, where you can stop off and view Lucille’s Historic Route 66 Gas Station. Built in 1927 as Provine Station, it was purchased by Carl & Lucille Hamons in 1941 and renamed Lucille’s in 1974. Lucille’s remained open right up until her death in August of 2000 (Carl died in 1971), and was later purchased and restored by a Weatherford businessman, but no longer functions as a business. 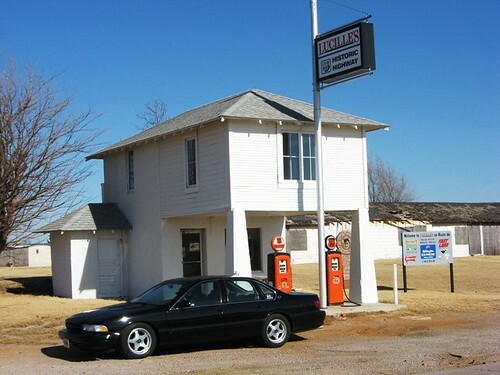 (Hat tip: “Oklahoma Route 66″, Jim Ross, Ghost Town Press). I had the opportunity to stop into Lucille’s in 1995. I had just finished a semester at Indiana Wesleyan University and aced a finance class I had taken. With some vacation time to burn up before the end of the year, I decided to reward myself and took some time off and made a solo trek on 66 out to Albuquerque, New Mexico. I stopped by Lucille’s and got a pop for the road and went on my way. It was my only chance to visit there, but I was glad to have stopped in a Route 66 business that had seen the highway’s birth in the late 1920’s through being bypassed by I-40, right outside its windows. Not only that, but it was neat to visit with someone who had served Route 66 travelers during the highway’s heyday, prior to the interstates when Route 66 was the way west. During the father/son trip we took over Christmas of 2008, I shot some video of the pony bridge and put it together on YouTube. Hope you enjoy…and my apologies for the shaky hand in the beginning!